2016 Camaro Facts & Specs: 10 Cool Things You Didn't Know! Wallace Chevrolet > Camaro > 2016 Camaro Facts – 10 Things You Didn’t Know! 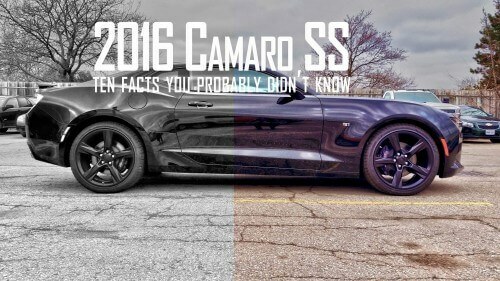 2016 Camaro Facts – 10 Things You Didn’t Know! before you spoil some of the surprises below! Back!? Here we go! The 2016 Camaro is completely different than the vehicle it replaces. In fact, the only parts that carry over are the Chevrolet badge on the trunk and the ‘SS’ badge on Camaro SS models! The 2016 Camaro is within two-inches of the vehicle it replaces in every direction. 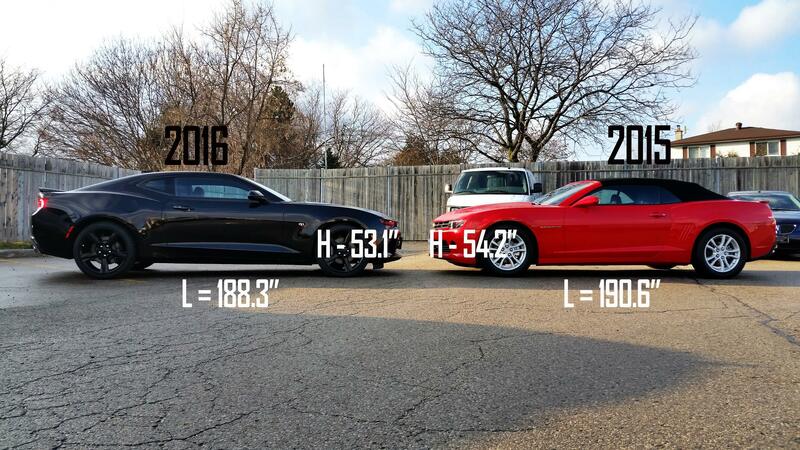 While it looks vastly lower and wider, the 2016 Camaro is actually a very similar size and shape! It all comes down to clever design. The 2016 Camaro spent over 350 hours in the wind tunnel. Engineers used this time to optimize the design for cooling and aerodynamic efficiency. For the very first time Magnetic Ride Control (MRC) is an available option on the Camaro SS! The 2016 Camaro SS can be equipped with GM’s legendary suspension system, which can adjust more than 1000x per second. Previously, MRC was only available on Camaro ZL1! READ OUR FULL STORY ON THE 2016 CAMARO RIGHT HERE! Sorry! No handbrake turns! The 2016 Camaro is equipped with an automatic parking brake, which means you’ll have to use even more power if you’re hoping to get it sideways on a track. 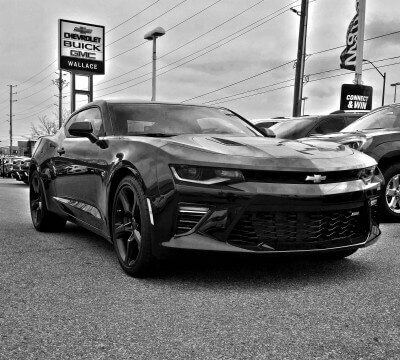 The 2016 Camaro SS features the LT1 V8 from the Corvette Stingray, however, it’s not entirely the same engine. In fact, 20% of the engine components are exclusive to the SS, including the new Tri-Y exhaust manifold! The Tri-Y exhaust manifold on the 2016 Camaro SS! The base Camaro features one radiator, while the Camaro SS features another two radiators in the corners of the front grill, adjacent to the central radiator in the middle. It’s larger engine (455 hp V8) throws off more heat and more radiators help keep things cool! MIG welding vs. laser welding? The difference is clear! The 2016 Camaro features a laser welded roof! 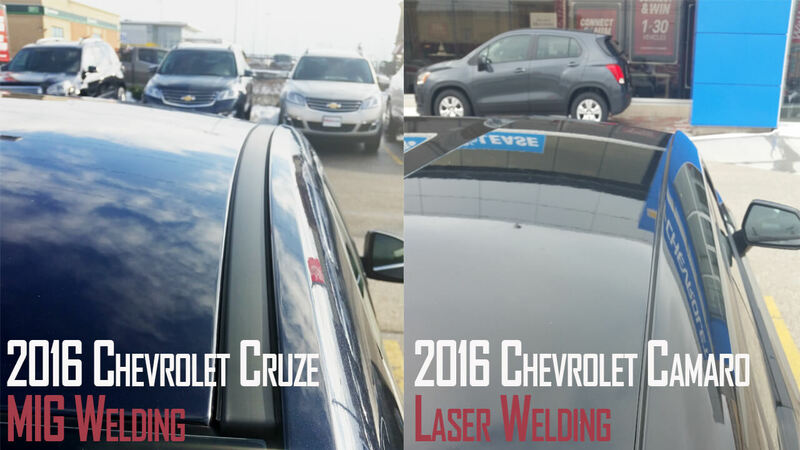 Typically, most vehicles typically feature a MIG-welded roof to keep costs down. However, it leaves an unsightly line. Now, the new Camaro looks even better than ever thanks its laser welded roof! An ingenious feature! In the 2016 Camaro the temperature is controlled using the ring around the vent! Simply turn it right for more heat, or left for more cool air. It’s simple, effective, and you’ll wonder why it took so long to invent! Models equipped the 2.0L I4 engine and Bose Audio System feature engine sound enhancement, which amplifies the native sounds of the I4 turbo engine. The system can be switched off. QUESTIONS? COMMENTS? DO YOU HAVE ANY COOL 2016 CAMARO FACTS?